No more collecting order forms, money, and distributing items. 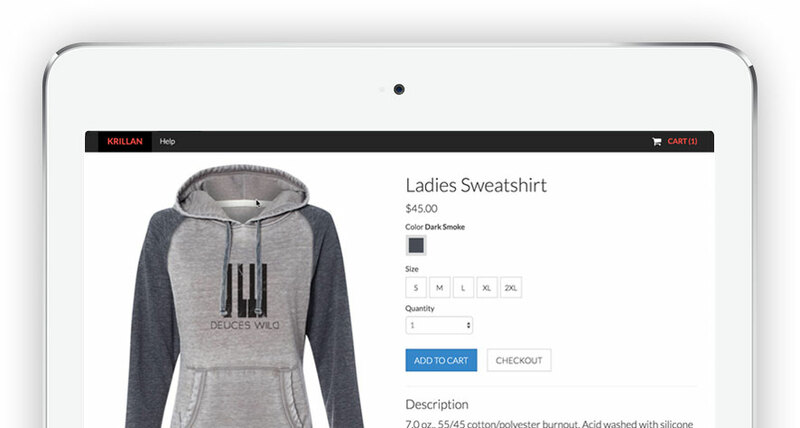 Setup an online store that manages payments, shipping, sizes, quantities, and colors. We do it all, and you reap the benefits. Our online store empowers anyone to organize clothing orders for your group, team, company, or business in an easy, hassle-free way. We’ll take care of the order forms, payments, and delivery while you relax knowing that your group is about to look fabulous in their custom created apparel from Krillan. Use our simple sharing tools and social media buttons to spread the word about your online store quickly and easily. Orders can be sent to you to hand out yourself, shipped individually, or a combination of the two – the choice is yours! Your online store is verified and secure. It encodes and encrypts all of the data received to ensure safety and privacy. 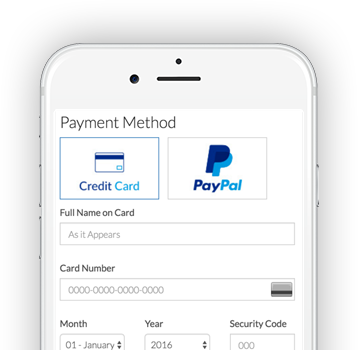 Our software eliminates the stress of collecting orders and payments by creating a simple, user-friendly webpage. 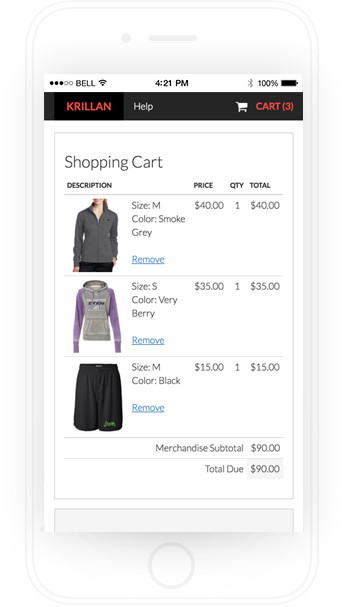 To make ordering even easier, the mobile version of your online store is specifically designed to be accessed on any device. Orders can be placed anytime, and you have complete control over the days your store opens and closes. Do you need an online storefront?